The Clark Zapper has not been licensed by the US Food and Drug Administration as a medical device for use in the cure, mitigation, treatment, or prevention of any disease. The Clark Zapper can only be sold as an experimental device. If you are pregnant or wearing an electronic pacemaker, please do not experiment with a Clark Zapper. All information is for educational purposes only. 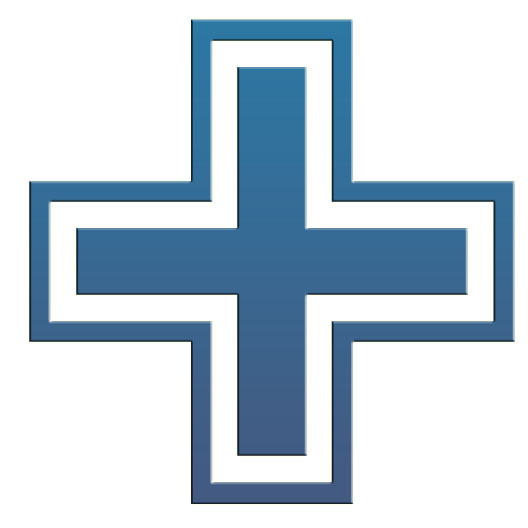 Consult a licensed health professional before attempting any self health program. Dr. Hulda Clark defines a Zapper as any unit that generates a positive offset frequency between 10 Hz and 500,000 Hz using a 9-volt battery. For more information on how to build and use a Clark Zapper, please read the books by Dr. Hulda Clark. Many people have asked us how to zap their pet. Since pets cannot hold copper handles, and it's difficult to work the handles through the fur to their skin, it makes sense to use a Zappicator. A Zappicator is a low 1 kHz frequency from a Dual Frequency Hulda Clark Zapper sent through a North Pole Speaker Box. 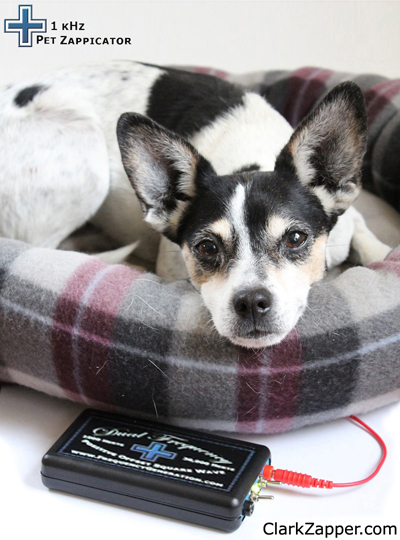 Simply place the North Pole Speaker Box under your pet's bed and turn on the Dual Frequency Zapper set to 1 kHz while your pet is resting. Start slow by zapping your pet 3 minutes or less per day, and work up to 20 minute sessions. Important: Because the magnet in the speaker will turn metal to the opposite polarity, remove all metal collars and tags. Never use the Zappicator inside a metal kennel. North Pole Speaker. 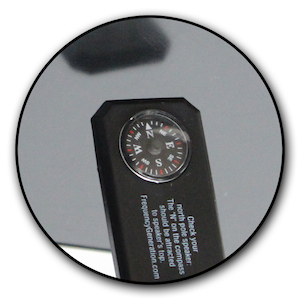 Dr. Hulda Clark defines a North Pole Speaker as a magnetic speaker that attracts a compass' North to its paper face. Speaker is 2 inches (50 mm) in diameter and rated at 8 ohms. All our North Pole Speakers are tested for polarity and magnetic strength. Solid ABS Plastic Box. The North Pole Speaker is built into a smooth solid ABS plastic box, making it lightweight but sturdy enough to place under your pet's bed. Durable construction for daily use on a level floor. No holes on the surface keeps liquids, fur, and food particles off the electronic components inside. North Pole Speaker Box is sealed permanently to avoid ferous metal screws that would interfere with polarity. Measures 9.5 x 6.5 inches, 1.5 inch tall. Durable Red Banana to Banana Lead. Connects the North Pole Speaker box to the red (positive) banana port on the Dual Frequency Zapper at 1 kHz setting. Cable is color coded to make it easy to remember which port to plug it into. Dual Frequency Zapper is sold separately. Test the North Pole Speaker with a Compass. Because a magnet can change polarity if heated or dropped, test your North Pole Speaker Box before each use. Tip the Speaker Box on its side, hold the compass near the center of the top. The N on the compass should be attracted to the Speaker Box's top surface. Compass is included for convenience. Why only one connection wire? One of the most interesting properties of RF frequency is that it can travel along the positive output not needing a complete circuit. When one connects a Zapper to a North Pole Speaker Box, the ground connection is not used. Dr. Clark wrote that the Zappicator stopped working once it was grounded. The extra benefit is that since the ground wire does not complete the circuit, there is no sound emitted from the speaker. There is no 1 kHz pitch to disturb you or your pet. Here is a video on how to "see" the invisible ball of zapper energy coming from the top of a Zappicator using a Hertz Meter.